Please poke the pictures to get enlarged views! US shipping $3.50 for 1 kit. 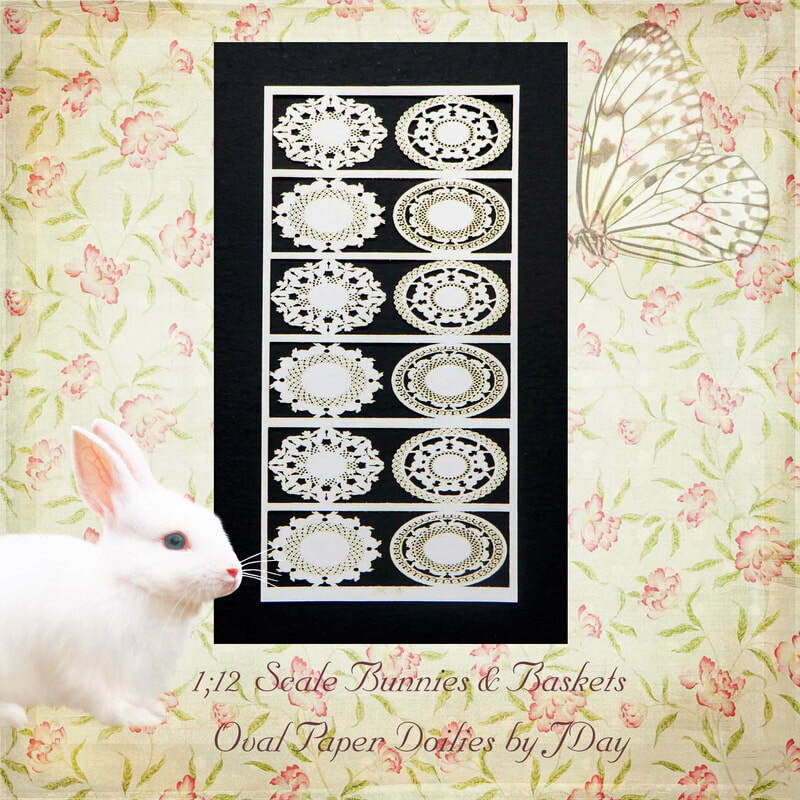 For 2-4 kits: $4.00 International to be determined per order. Payments accepted: Paypal, MO, check. 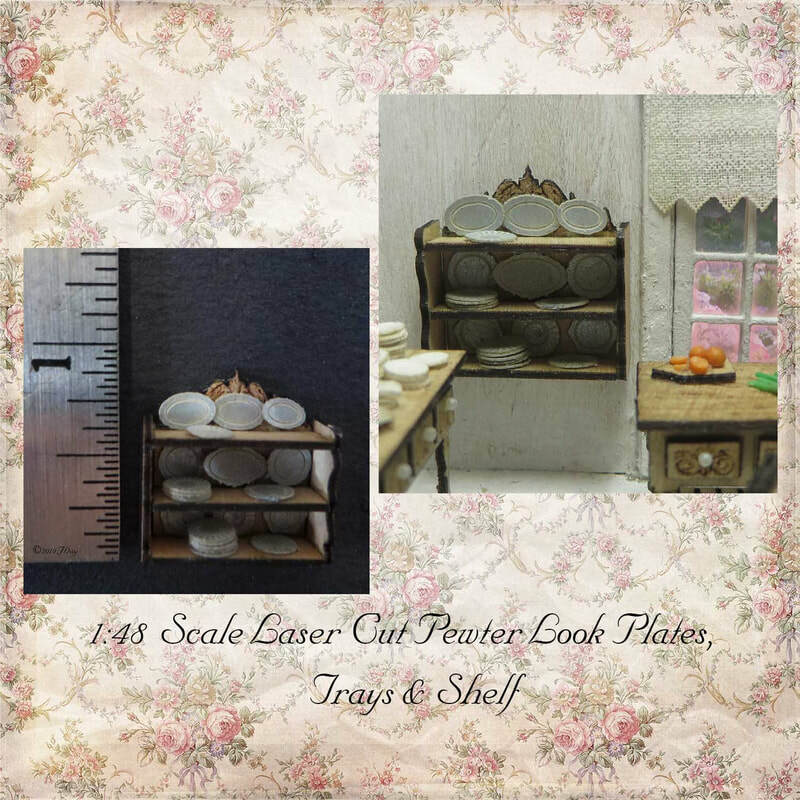 Create these pre-glazed and dimension enhanced shelf pieces in quarter or half inch scale. Each scale includes the set of 2 styles and all the pieces to create the shelves with a candy cane edging option. Shipping: US $3.00 International shipping to be determined. ​Each set includes 4 clocks and the pieces to complete them as shown. Shipping: US $4.00 International shipping to be determined. Make these colourful wall clocks to fill in that special spot in a variety of settings. 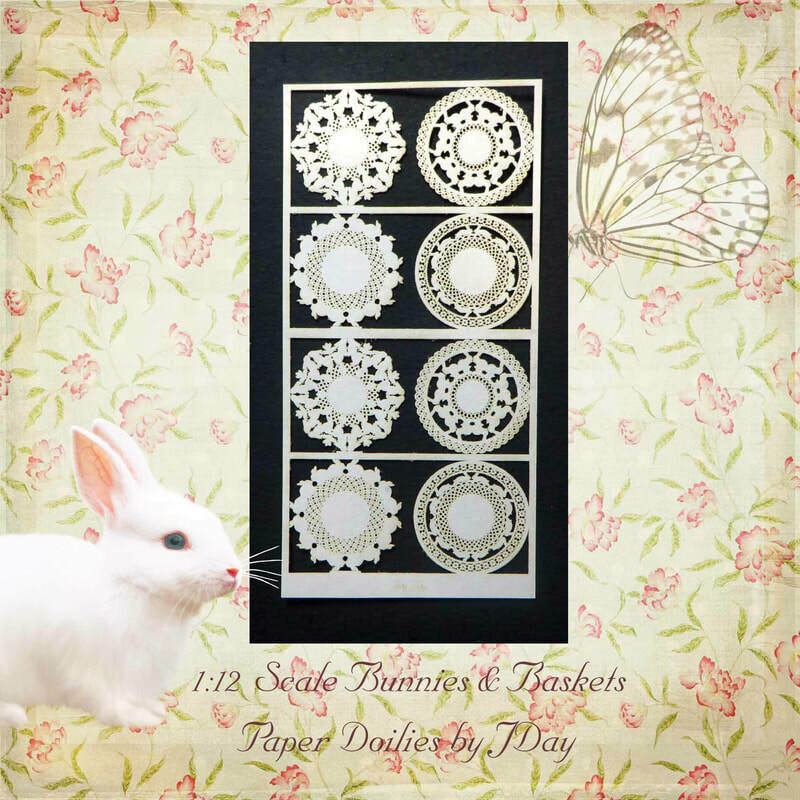 Each kit includes 4 clocks, choose from Group A or Group B.
Clocks for both groups are available in 1", 1/2" or 1/4" scale. Create these little dresses perfect for your miniature setting in 1" on a shelf or a 1/4" dress shop. Limited Edition - 20 kits available in each color. Choice of Sienna, Purple or Magenta. Kit includes everything needed to complete the dresses. ​Each dress Kit $5.00 each Shipping: $3.50 US Limited Amount International to be determined. Create these beautiful miniature Bridal gowns perfect for your miniature setting in 1" on a shelf or a 1/4" dress shop. Choice of: White Satin, Candlelight or White Lace. If you are interested please email me for a Paypal invoice. Please include your Paypal email. The shelf is very easy to glue together and the pewter look plates are fun to stack and arrange on the shelves, they just need a bit of embossing inside the engraved design. If you are interested please email me for a Paypal invoice including your Paypal email.